If you enjoy collecting charms, this is sure to please! 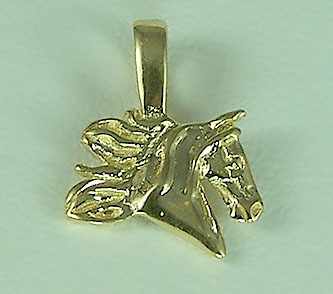 A charm meant just for the Saddlebred horse lover. Finished in a full three dimensional design is this new Saddlebred head charm. Offers one side finished with streamers for show quality and on the other side you have just the head without streamers. Available in 14kt yellow, 14kt white, or sterling silver.